December 29th in WordPress Themes by Wordpress Jedi . There are plenty of fancy wedding themes that allow you to to share updates, special dates, and guest info with the world. Jen+Ben happens to be a one page theme for wedding events. It is powered by TemplateMonster’s drag & drop page builder and various Cherry plugins to add content to your site faster. June 19th in WordPress Themes by Wordpress Jedi . There is no question that there are plenty of terrible drivers on the road. You don’t have to be a great driver to pass your driving test. If you are passionate about making people a better driver, you could always start your own driving school. ImDrive is a one-page WordPress theme for these types of businesses. October 13th in WordPress Themes by Wordpress Jedi . WooCommerce is powerful enough to handle fairly large to small online stores. In certain cases, it makes sense to use this platform to market and sell a single product. Enlink is just the theme for the job. 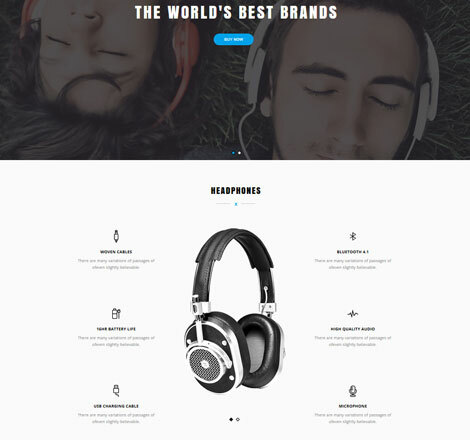 It is a single product WooCommerce theme with 2 layouts designs. 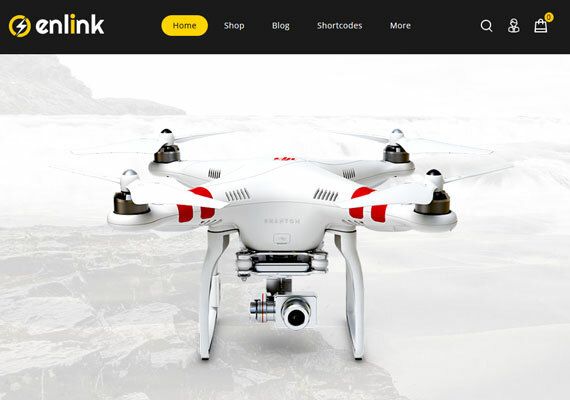 It has a mega menu and mobile menu system, a full width slider, and wishlist functionality. Enlink is coded in HTML5 and CSS3. It supports RTL and LTR languages. It has various portfolio and gallery layouts. You get sliders for logos, featured products, and banners. Video backgrounds are also supported. Your visitors can view items and add products to their wishlist quickly. Enlink comes with 1500+ Font Awesome icons. It is ready for your newsletter and testimonials. This is a commercial theme by an Elite Author. February 28th in WordPress Themes by Wordpress Jedi . 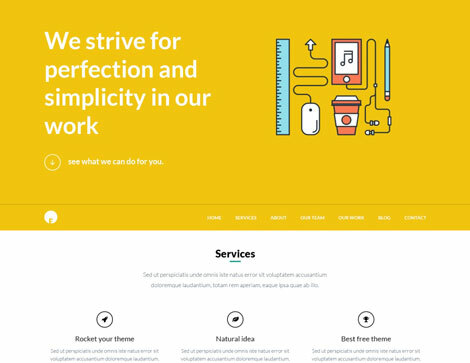 There are plenty of fancy WordPress themes with all kinds of bells and whistles available these days. Sometimes, you just need a theme for a one-page website. OneEngine could prove useful for such a project. It is a multipurpose one-page theme that lets you promote your goods and services. January 9th in WordPress Themes by Wordpress Jedi . Writing a killer e-book is time-consuming and challenging. Once done, you need to promote your e-book aggressively. You can’t promote your products online properly without a good looking website. 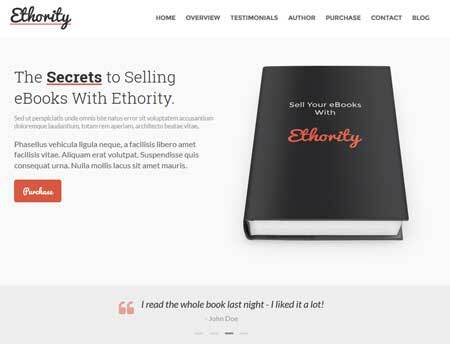 Ethority is a one-page theme that lets you promote and sell your books online. It has a responsive design and an options panel to let you make changes to your site quickly.